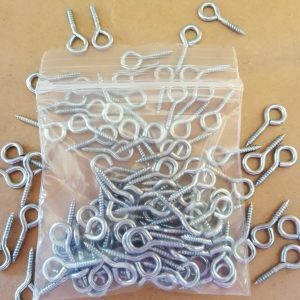 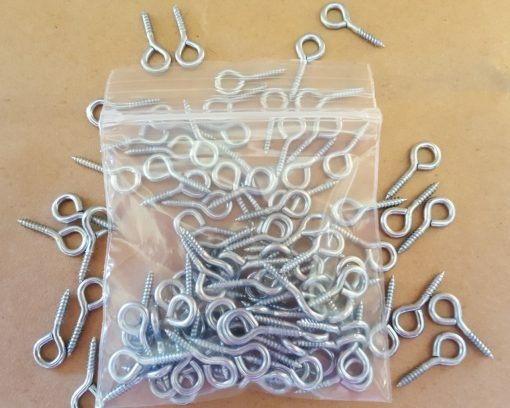 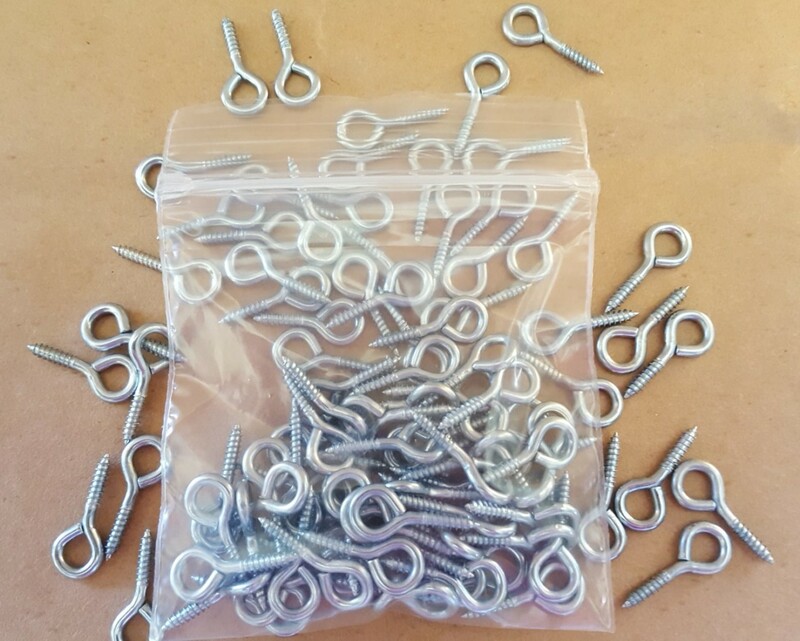 Pendant hooks with 5/32 hole, 3/4″ length, bulk pack 100. 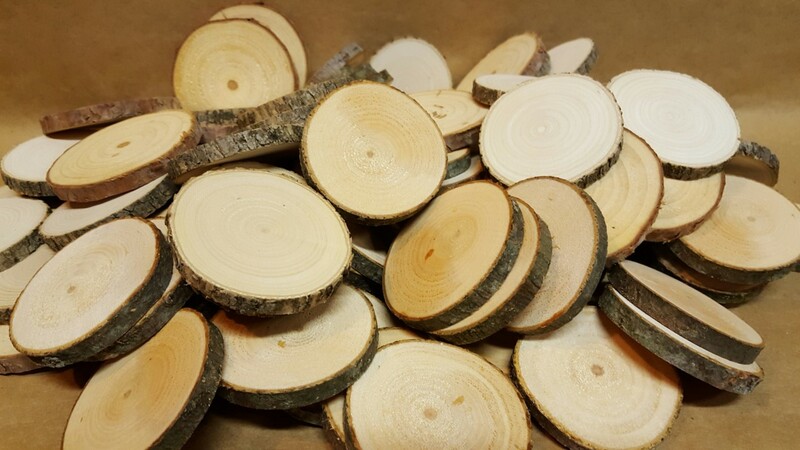 Use with tree cookies to create your camp badges or any kind of tree craft. 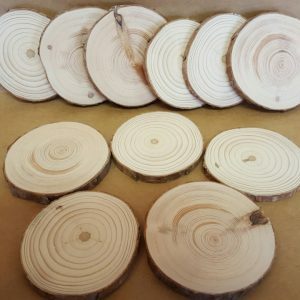 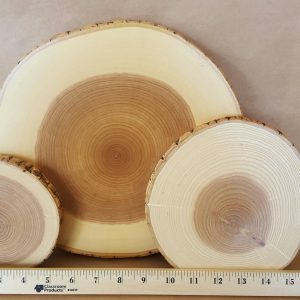 For larger groups, bulk tree cookies of 50 or 100 are available. 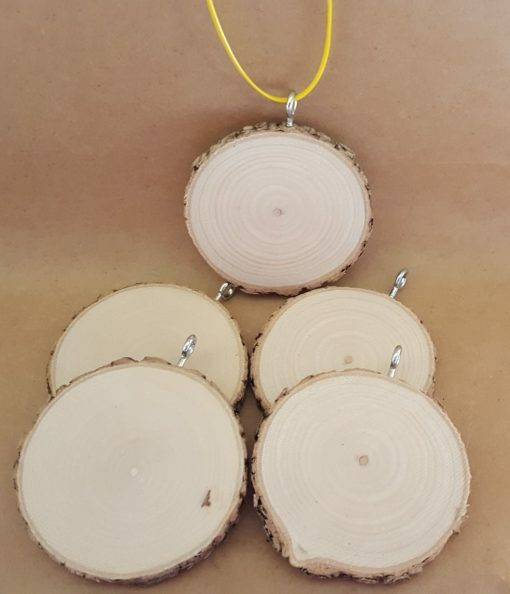 Drill a small hole in the edge of tree rounds to screw in the pendant hook.